2018 was a big year for Google Ads. Most prominently, Google underwent a complete rebranding, transitioning from Google Adwords to Google Ads. Aside from the name change, Google altered its user interface and added new targeting options and ad types. Before analyzing up-and-coming trends, it is important to define the tool influenced by them. So, what is Adwords? Now known as Google Ads, Adwords is a pay-per-click (PPC) ad platform that allows marketers to research and enter targeted keywords to display ads that target consumers. Google Ads shows multiple metrics to give marketers information regarding the demographics that view and respond to ads, including conversion rates. This allows marketers to adjust ad approach based on the efficacy of their current campaign, who is viewing it, and which keywords provide the desired outcomes. Marketers can track changes and assess the efficacy of their performance as well as the return on their investment. Such metrics can guide future decisions and allow marketers to plan ads in a way that will provide optimum return on investment. In the same way, it is also important to keep a watchful eye on trends, which can shape the ways users perform searches and use keywords much like performance metrics do. What Are the 2019 Trends? 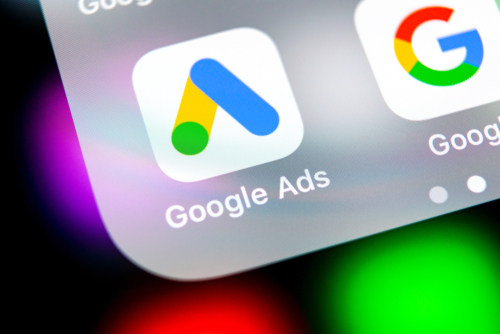 Although 2019 is not shaping up to be another year of drastic changes for Google Ads itself, the PPC ad world undergoes frequent changes, making staying up-to-date on the trends crucial for PPC marketers. What are the Google Ads trends you need to know for 2019? Predictions regarding keywords range from “keywords are dead” to “keywords will decrease in importance in 2019. No matter how much you buy into the idea that keywords are a thing of the past, the key point is that audience targeting is the wave of the future. Google already shows a wealth of demographics, user location, and platform information marketers can use to pinpoint the desired audience. Expect this trend to continue as more marketers plan ads around audience instead of keywords. Google stands to further improve segmenting capabilities to narrow audience focus in 2019. For you, this means assigning at least equal attention to your audience as the keywords you choose. 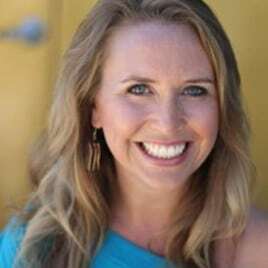 Creating marketing personas geared toward understanding what users in your target markets might prefer to see can help you provide ads that speak to potential customers on a more personal level. With 20% of mobile searches in 2018 and projections for voice search to compose as much as 50% of all queries by 2020, voice is not a new trend. However, if you haven’t optimized your PPC campaign for keywords consistently used in voice search, you may be missing out. Aside from “OK Google” and “Hey Google,” voice searches are typically longer than their text-based counterparts. We believe targeting some longer keywords and words more frequently used in full sentences could return better results in 2019. The statistic is well-known by now – upwards of 72% of users prefer to learn about a product or service via a video. Coupled with the rather meteoric rise of video content on the web in general, it’s no surprise that video marketing is a popular and effective method of advertising a product or service. In 2018, video ad spending reached 25% of all digital ad spending in the U.S. 2019 promises more of the same. In particular, video’s shareability to social media and broader appeal to more consumers makes it particularly attractive in 2019 as social media continues its own upward climb. Continue to diversify and tweak your video ads in 2019 to continue getting your video ads in front of the audience who will return the conversion rates you’re after. Despite the fact that the last two trends focused on newer technologies and different query-entry methods, the tried-and-true text ads, once Google Adwords’ namesake, aren’t leaving the scene any time soon. In fact, many marketing services maintain that text ads remain the most effective ad type. Don’t allow optimizing your video and voice ad campaigns to distract you from what Google Ads does best. When Google announced mobile-first indexing a few years ago, marketers everywhere scrambled to make sure sites were mobile friendly. With the continued prevalence of mobile searches over desktop, it is important that you ensure your mobile site provides your users with the best experience possible. This means addressing page load speed, ensuring your mobile site has the same information as your desktop site, and ensuring your mobile site is high-quality. Low-quality mobile landing pages can drop your rankings, meaning Google will not show your ad. In addition, within Google Ads, you have the option to select whether to target queries issued from the mobile platform. If your site is not mobile-friendly, we recommend that you hold off until you can provide a better mobile experience. However, if your mobile site is ready to go, ensure that you opt to target mobile users, whose numbers continue to grow. Automation was a big story in 2018, and that trend continues into 2019. Automated PPC bidding and budgeting was the start of this new chapter in PPC marketing, and 2019 is shaping up to show marketers their value. This year, marketer value lies in setting up the algorithms so your campaigns can function well within the automation framework. Although automation continues to add features, you hold the primary responsibility to make good choices regarding audience targeting, providing quality content, and analyzing the effects of automation. Allowing automation to take over continues to be a potential recipe for disaster. Overall, it appears that 2019 is the year of technology, which emerged as a theme throughout many of the 2019 trends. Most of these technology trends are not new, however, the role updated technology continues to play in how consumers search the web for products and services continues to grow and evolve. Staying on top of any trends moving forward will involve paying close attention to the usage of voice and video search as well as continued automation.